In a move that will drive the sharing economy further into the mainstream, car rental industry disruptor DriveMyCar has today announced the expansion of its service to Sydney and Brisbane international airports. Since 2010, DriveMyCar, the nation’s largest peer-to-peer car rental platform has allowed users to rent personal cars from other users. The new service will allow local and international travellers to pick up and drop off cars at a convenient location without having to pay the airport premium charged by traditional car rental companies such as Avis, Thrifty and Europcar, to name a few. 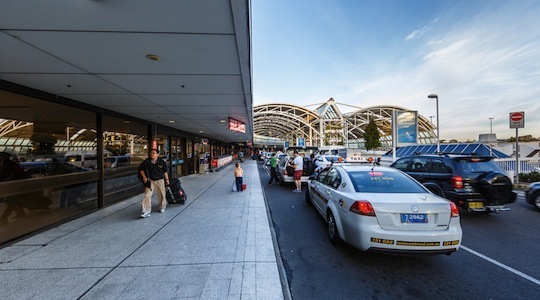 DriveMyCar has launched at Sydney airport in cooperation with Park & Fly, meaning users can be shuttled to their car on arrival and have it collected by a valet upon drop off. Travellers at Brisbane airport will be able to pick up and drop off their vehicles for free at a DriveMyCar airport depot located several minutes from the airport. The company has been able to launch the airport services initiative with no additional investment or staffing due to the nature of the sharing economy. “Our ability to scale the DriveMyCar business is considerable” says Chris Noone, DriveMyCar CEO. “Whenever we launch in a new city or location, we don’t have to buy cars, secure a depot, open an office or hire more staff to serve the market. The sharing economy and peer-to-peer renting taps into existing assets and infrastructure that are under-utilised. We operate a fleet of cars but we don’t own a single vehicle. It’s one of the reasons we’re cheaper than the traditional car rental companies”. The new service has been made possible by the formation of smart partnerships with service providers located near Sydney and Brisbane airports, and Noone certainly believes the plan lends itself to launching in further airport locations. In April this year, Marketing covered DriveMyCar’s rebrand and push for growth through its new website.